Help us plant the urban forest! 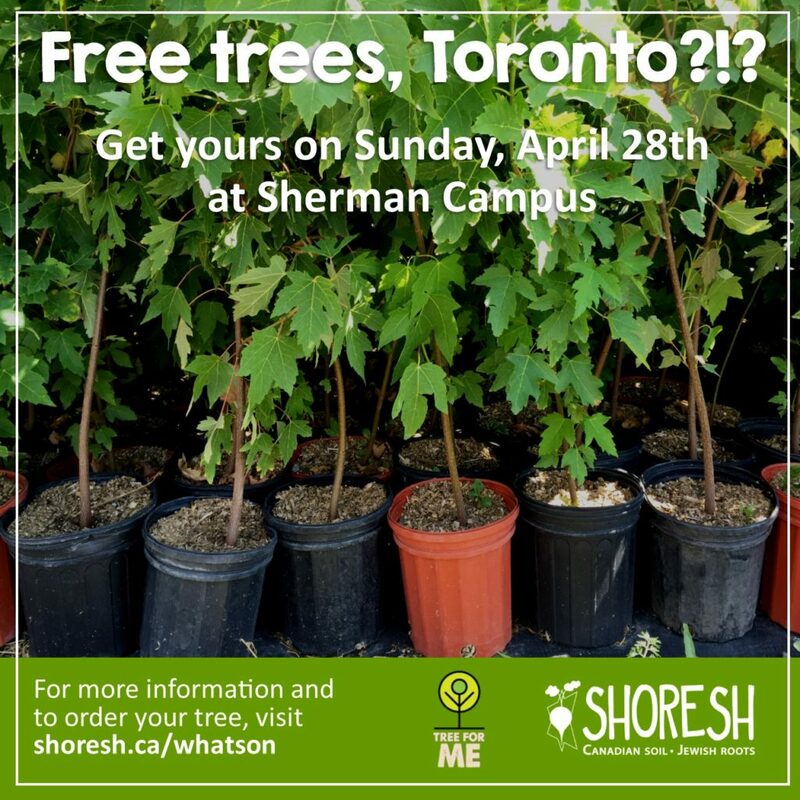 Join Shoresh and the Prosserman JCC at Tree For Me, a community-powered backyard tree planting program run by the Toronto Parks and Trees Foundation (TPTF). This program makes it easy for Toronto residents to get FREE native trees for their backyards. On Sunday April 28th, we will gather on the Sherman Campus to support of the Every Tree Counts campaign, a partnership between TPTF and the City of Toronto to reach 40% tree cover in Toronto. Tree For Me events help put more trees in our yards, more trees in our communities, and more trees in our city. 10:30 -11:30 – Family friendly hike to meet the trees in the ravine! Register for your trees TODAY here. To find the right tree for you and to register, click here.